The Antler necklace is 18 inches long with a 5 inch soldered extender chain. Lead and nickel free. Stainless steel chain. The antler charm is 2 inches by 1.6 inches. 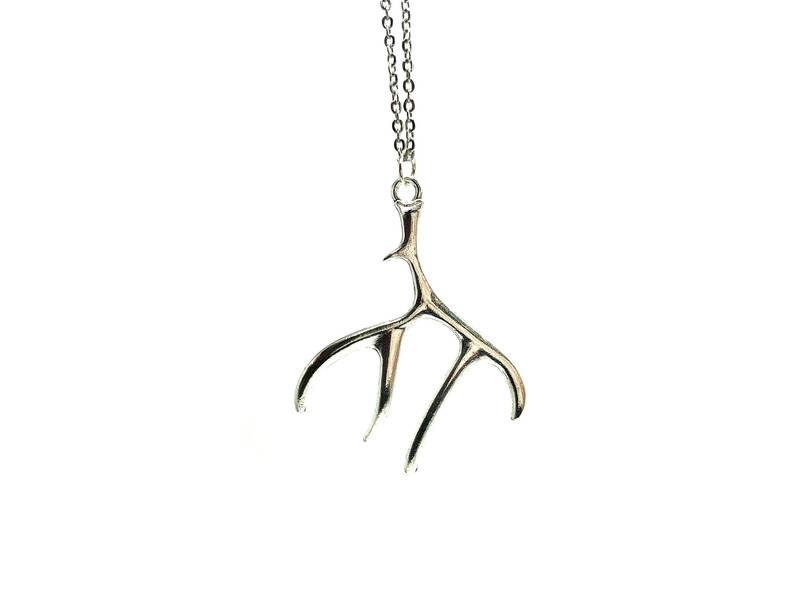 This necklace is ideal not just for the holidays but for fans of Hannibal as well! It pairs well with the Hannibal pendant necklace I already have.